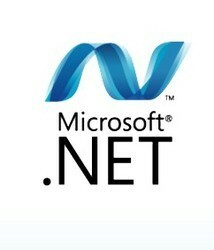 · Experinece in classic asp, vb6.0 to latest .net framework and visual studio with iis server. · Worked with online shopping cart software that can be easily integrated with any site running script with any server technology. We have conducted a special training program for freshers in ASP.Net, Adobe Photoshop, Dreamweaver & Flash. We are providing 3 months training who has just completed diploma or degree in computers. Microsoft .Net Technology Provide completes Environment for Developing Application System (presentation layer, Business Logic and Data link layer). And by which we can implemented any Architecture such as one, two, three or n-tier Architecture. We offer state of art project development training in Microsoft Dot Net Technology for Final Year project or Industrial Project training for the M.Tech, BE, MCA, MSc-IT, and BCA or diploma students. We focus on deleivering hight standard proejct development as Industry standard. - Building a User Interface. - Working with events and Command. - Working with Data Binding. plug-in that enables interactive platform independent. PHP is a widely-used server side scripting language. We provide php training with live project and a professional training environment. 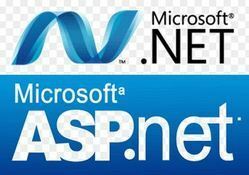 Developing ASP.NET MVC 4 Web Applications Training conducted by Multisoft Virtual Academy. At Quick IT Dot Net one is catered to this technology by the people who use it the most that is the experienced developers. This experienced faculty pays high emphasis on implementation rather than theory thereby improving the practical understanding on candidates that is much desired by MNC’s.